Turn one USB-C port into five with the Aukey CB-C72 Compact USB Type-C Hub. This device converts a single USB-port into a 4K HDMI port, SD card slot, micro SD card slot and two USB 3.1 Gen 1 ports. 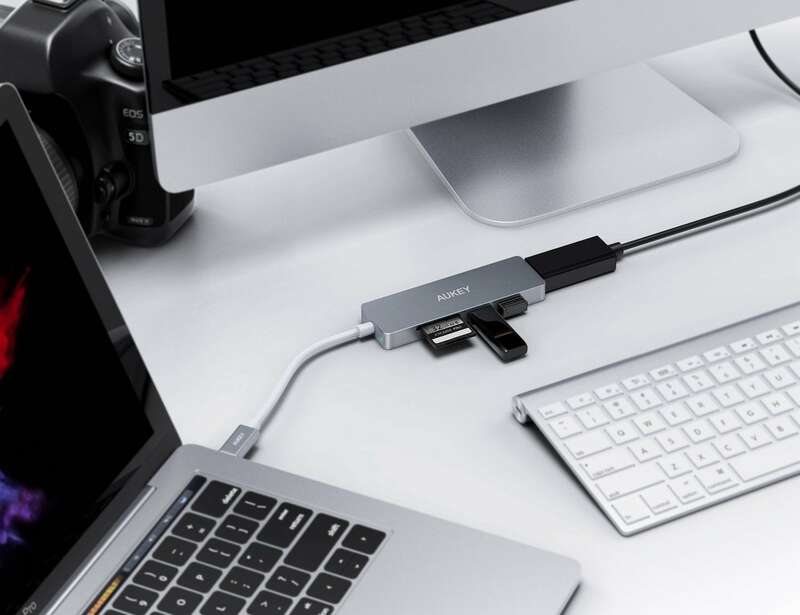 The Compact USB Type-C Hub makes it easy to connect older devices to your USB-C laptop for display expansion and data transfer. In addition, the HDMI port offers resolutions to up to 4K@30Hz to the display you connect it to. The..